The Lake Poets became known as such when Francis Jeffrey used the term in one of his articles on literary criticism. Derogatorily intended, this expression alluded their sectary nature. They were regarded as radical and antisocial, and blamed for using ordinary language and themes in their poetry. The term prospered and it has been systematically used to this day. The three components of this group are considered Romantic poets, due to their interest in the unusual and the supernatural. Each of them had their own focus, though: Wordsworth the familiar, Coleridge the philosophical, and Southey travelling and adventure. The three poets shared a love for liberty and radical political convictions in their youth, sympathising with the French Revolution, although they turned more conservative as they grew older. The French Revolution meant the promise of a glorious renovation of society. It inspired Southey and Coleridge – who met in 1794 in Oxford – to plan a Utopian community in America called Pantisocracy – equal rule by all -, based on libertarian principles. Wordsworth and Coleridge met in 1795, and wrote Lyrical Ballads (1798) together, influencing each other greatly throughout their lives. The Wordsworth household was formed by William and his sister Dorothy, also a poet, relegated by literary history to a satellite position together with other authors. 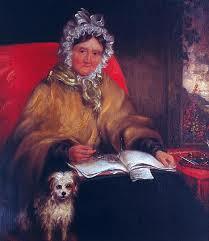 Her writings were not intended for publication, although she had a gift for precise observation and description that may surpassed that of William Wordsworth and Coleridge. 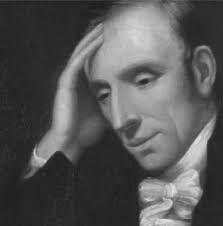 Wordsworth had chosen to describe the “humble and rustic life”, as in them “the essential passions of the heart find a better soil in which they can attain their maturity”. His works were not considered as radical because they embodied revolutionary thoughts, but because he sought to express values which stood apart from gentility and what he regarded as false sophistication. He even professed the ambition of beginning a literary reform. His main themes are the pastoral against the ugly background of industrialization, his love of nature and “emotion recollected in tranquility”. 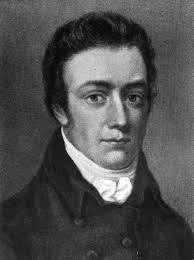 Coleridge was brilliant in his studies but as he grew older, he found little stimulation in them and fell in idleness, dissoluteness and debt. In accord to the medical prescription of the time, Coleridge had been taking laudanum from an early age in order to ease the physical pains and ailments that he suffered. As a result, he became an addict. He expresses his despair in Dejection: An Ode (1802), his farewell to health, happiness and poetic creativity. Despite his attempts at restoring his health, he continued with his habit, and withdrawal symptoms interfered in all his relationships. He survived for some time by giving lectures, writing for newspapers, etc. While addiction was a main driving force in his life, he usually adapted – or simply transcribed – passages from other writers in order to meet deadlines, and he was charged with plagiarism. Writings that required sustained planning were left unfinished or were made up of brilliant sections padded out with filler. In 1816 under Dr. Gillman’s supervision, he manages to control, although not to suppress his addiction. His remaining years he spent with Dr. and Mrs. Gillman. 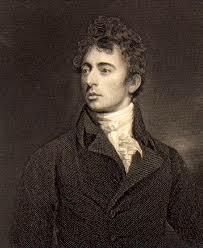 Robert Southey was expelled from Westminster School for criticising the practise of flogging in the school magazine. The incident was an instance of his revolutionary ideals which found expression in his first long poem Joan of Arc (1796). By then, he had already written The fall of Robespierre (1794) in partnership with Coleridge, with whom he also shared experiences such as taking part in experiments with nitrous oxide (laughing gas) in 1799. He also wrote travel books, composed by letters from his short residence in Port and Spain. The Doctor, published in 1837 contains the famour tale The Three Bears. Although he was praised by W. Scott and Lord Byron, and was appointed Poet Laureate in 1813, his poems does not seem to have passed the test of time, as he is now regarded by the critics as the most flat and less talented of the three. Actualmente está muy de moda decir que se habla una lengua extranjera, una que no sea la vuestra. Muchos incluso lo destacan en su respectivo currículo vitae, ya que es un plus importante a la hora de buscar trabajo. Ahora bien, hay mucha gente que dice tener conocimientos de una segunda lengua, incluso de una tercera, ¿pero qué significa realmente? ¿Y por qué es importante? El bilingüismo es un fenómeno que consiste en un uso habitual de dos lenguas en una misma región o por una misma persona, según como lo define la RAE. Así pues, quien habla más de una lengua es bilingüe y quien más de dos es incluso trilingüe o directamente políglota. There is a lot to say for CAT (computer-assisted translation) tools: they enable you to check for concordance, improving your efficience and decreasing the time and effort invested in translating; the more stuff you have previously stored in your Translation Memory, the more dramatic this effect will be. It allows you to maintain the original format, type and size of the font, etc., that is, you will also edit the text perfectly. 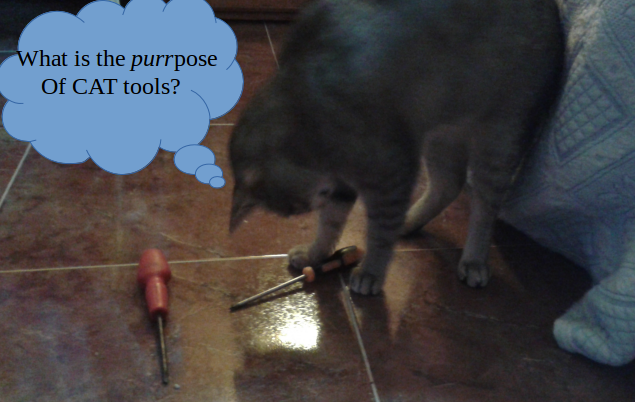 But…, are CAT tools really that necessary? Well, I think the answer is no. I happen to own one of the expensive ones, which I bought years ago. I had to invest a whole month of my salary in it: I bought my license to operate it, which was the most expensive part of the purchase, and then I bought the instructions manual and the disks, so that I ran no risks after spending that kind of money on something. Years after that, when translating has become my main source of income -scarce as it is, though- I find out that it has become absolutely obsolete and it can’t even be updated. Alarmed as I was, I had some words with the company, who said that all I can do is buying the new version for a special 50 % price, which is three times the price they used to charge for updating it. Well, selling one of my kidneys in the organ trade black market is out of the question, so what do I do now? I’ve been participating in some translation forums lately and I was very happy to see that there are people who don’t use CAT tools and they are perfectly normal, functional, socially adapted and happy and they get work! Enough to make a living out of it! Also, it must be said that these CAT tools are advertised and sold in/by certain marketplaces for translators who get benefits from them, that is, they force us to buy their very expensive tool if we want to take part in their select club. This makes translators dependent in a long term, due to the aforementioned updatings, upgradings and latest of the latest versions of the tools. Besides, we are turned into text editors for the same price, not to mention this fuzzy terms application, which doesn’t take into financial consideration words and expresions reapeated throughout the text for the final price, impoverishing us as a result. So, in a nutshell, should we buy this money-shrinking device? The Confederation Poets is the first distinctly Canadian school of poetry. It includes the four writers in Malcolm Ross’s anthology “Poets of the Confederation” (1960): Sir Charles G.D. Roberts, his cousin Bliss Carman, Archibald Lampman and Duncan Campbell Scott. Close contemporaries, all of them were born in the early 1860s and had prominence between 1867 and the Great War. They had a Victorian education and were trained in the Greek and Roman classics, they blend cosmopolitism with Canadian nationalism, they draw from the Canadian landscape, the worship of nature is a main theme in their writing, they adopt Pan – the Arcadian fertility god of wild nature and patron of pastoral poets – as the centre of their personal mythology, they are linked to British Romantic-Victorian literary tradition and with American trascendentalists (Emerson, Thoreau). Charles G.D. Roberts is the founder of this school of poetry. Roberts enjoyed a boyhood in close contact with the wilderness until his father accepted a post in Fredericton, away from the Tantramar region of New Brunswick. Once in Fredericton Collegiate School, he met his cousin Bliss Carman. 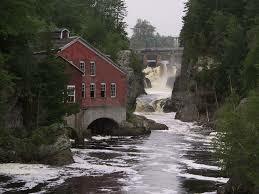 Back in New Brunswick, he began writing poetry. He published over 21 volumes of poetry, among them “Orion & other poems” (1880), under the influence of Keats, Wordsworth, Tennyson and Arnold, “Diverse Tones” (1886), which includes his famous poem “Tantramar Revisited”. He is credited for inventing the modern animal story. In his famous work “Earth Enigmas” (1896) animals are victims of the laws of nature. It is based on direct observation and free of didacticism. Bliss Carman faced serious difficulties throughout his life, all of them related to his incapacity for making decisions. He only left his parents’ house after their death. He worked for two years for a religious weekly in New York and then in journalistic positions and giving lectures. From 1892 on, he lived as a visitor with many friends and relatives, his income being never sufficient to support himself. From 1908 on, he lived with Dr. and Mrs. King. He produced over 50 books of light verse, nostalgic tone, pastoral theme and Edenic setting (more obscure in his later volumes). He had always been interested in quasi-religious philosophies, especially with Mrs. King’s pantheism. Throughout his life he suffered from bouts of depression interspersed with manic joy, process which is reflected in his most effective poetry. Archibald Lampman read Roberts’ “Orion” in 1881 and got astounded by it, sending a “fan letter” to Roberts. He wrote nature poems in which the descriptions are minutely detailed, compared to those of Roberts’ poetry. He combined his poetry writing with his post as a Post Office clerk in Ottawa, where he developed a close friendship with Duncan Campbell Scott. Both of them disliked urban life and took trips to the countryside. Duncan Campbell Scott was very skilled with lyric forms due to his love for music. His poems are full of alliterative lines. As a clerk in the Indian Branch, he was able to explore the Canadian wilderness & to come into contact with Native Canadians, whom he idealized in his poems, full of Christian imagery.